HELSINKI (AP) — Finland’s president isn’t sure where U.S. President Donald Trump got the idea that raking is part of his country’s routine for managing its substantial forests. Trump told reporters Saturday while visiting the ruins of the Northern California town where a fire killed at least 76 people that wildfires weren’t a problem in Finland because crews “spend a lot of time on raking and cleaning and doing things” to clear forest floors. 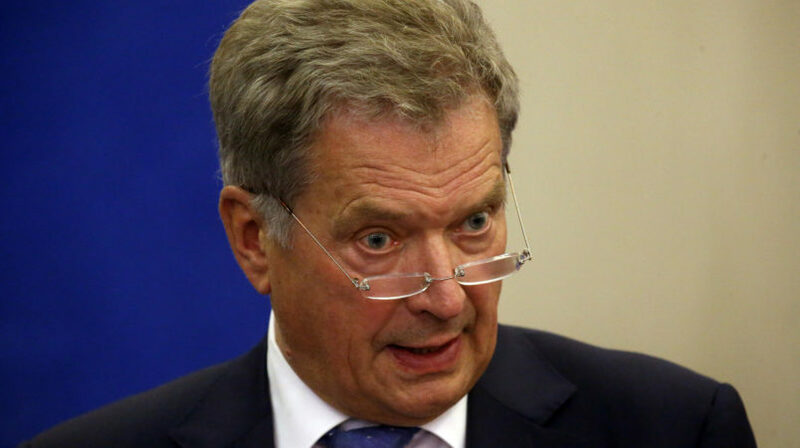 Finnish President Sauli Niinisto said in an interview published Sunday in the Ilta-Sanomat newspaper that he spoke briefly with Trump about forest management on Nov. 11, when they both were in Paris for Armistice Day events. Niinisto said their conversation focused on the California wildfires and the surveillance system Finland uses to monitor forests for fires. He remembered telling Trump “We take care of our forests,” but couldn’t recall raking coming up. The U.S. leader’s comment generated amusement on social media in Finland, which manages its vast forests with scientific seriousness. Forests cover over 70 percent of Finland’s 338,000 square kilometers. The Nordic country with a population of 5.5 million is home to some of the world’s biggest paper and pulp companies.